When your pet needs a dental procedure – we understand how concerned pet owners like you can be. We take great pride in caring for, monitoring and treating your pet as we would treat our own pets. Dogs and cats should not be fed food or treats after 6 pm and no water after midnight. Do not give any medication the morning of the dental unless otherwise requested by the doctor. If your pet is a diabetic, please discuss the insulin dose you should give with the staff prior to the morning of dental. Please bring any medication your pet is taking in case we decide it best to be given. We will ask you to sign an Authorization and/or Estimate form that confirms the procedure, indicates you understand the estimate, allows you to choose or decline pre-dental blood work, and confirms a phone number where we can reach you during the day. Once your pet arrives, they will come to our treatment room, be evaluated by our technicians for any problems, and we draw blood if approved by you to ensure your pet’s organs are healthy. If we identify any problems or concerns, the doctor will call you before proceeding. The doctor will examine your pet and give injectable sedation. While your pet is relaxed, we shave the leg to place of an intravenous (IV) catheter and give additional drugs that allow total relaxation. We use modern anesthesia protocols that consist of very safe drugs and monitoring equipment that constantly monitors your pet’s heart rate, respirations, blood pressure, EKG, and temperature. 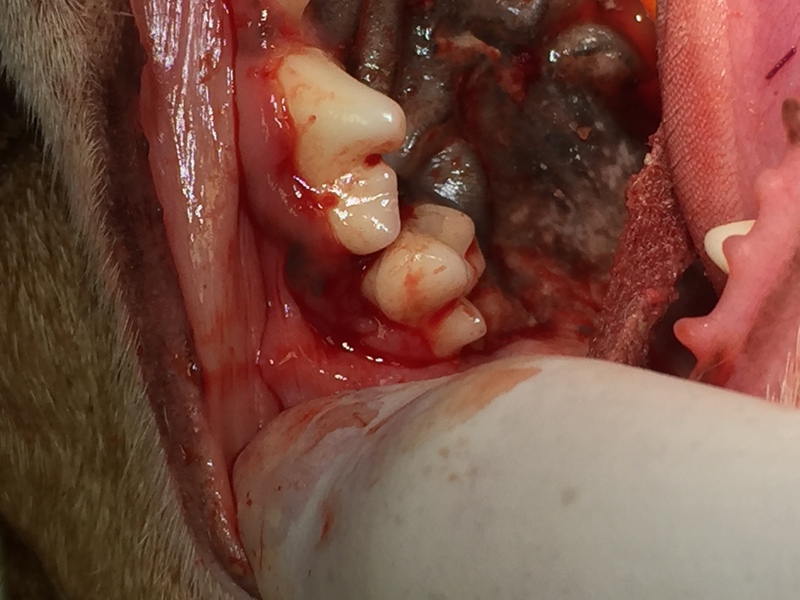 Your pet is then positioned for evaluation of the mouth and gums and the cleaning procedure begins. Once the dental itself is completed, your pet is closely monitored as he or she wakes up and observed for any signs of discomfort. Our team will call you after the dental to give you an update and discuss discharge. Most pets go home between 5 pm and 7 pm. Some pets may be slightly sedate and sleepy when they go home. Your pet may be sent home with pain medication and/or antibiotics. When you arrive to pick up your pet, our technician will go over home care. We often use “estimates” to give you ranges in cost. The cost of dental procedures may vary widely, depending the length of time needed for proper tooth cleaning, and if there are any needed extractions. 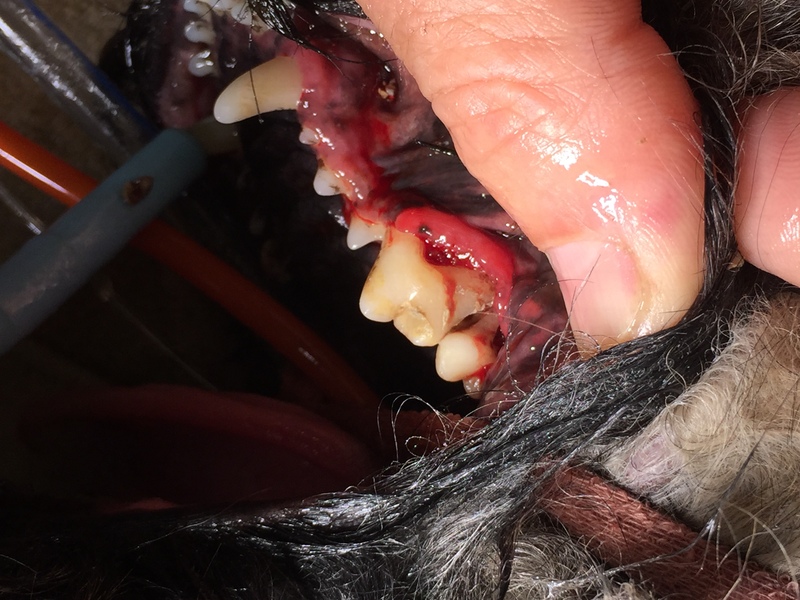 Often we don’t know for sure what will be required until your pet is sedate and we can fully evaluate the mouth. Our most important goal is to ensure your pet has a healthy mouth and is pain free. After dental, we often include a therapy laser treatment that gently soothes tissues and enhances healing and reduces pain. We look forward to serving you and your pet on the upcoming dental day. Please call us (740) 587-1129 if you have any questions.